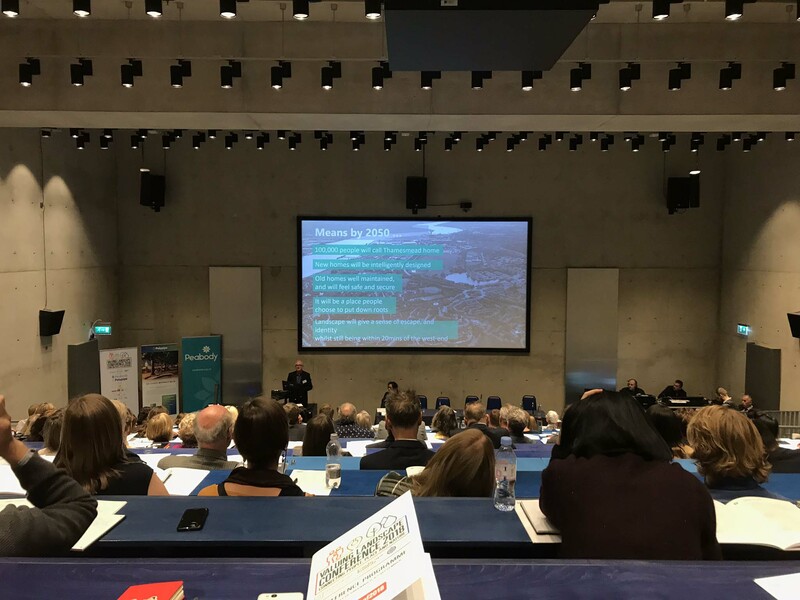 The focus of this year’s conference was ‘Valuing Landscape – Connecting People, Place and Nature’. Oliver attended the first day of the conference and started the day by attending a talk on the changing role of value (led by Jan Christian Vestre the CEO of Vestre). 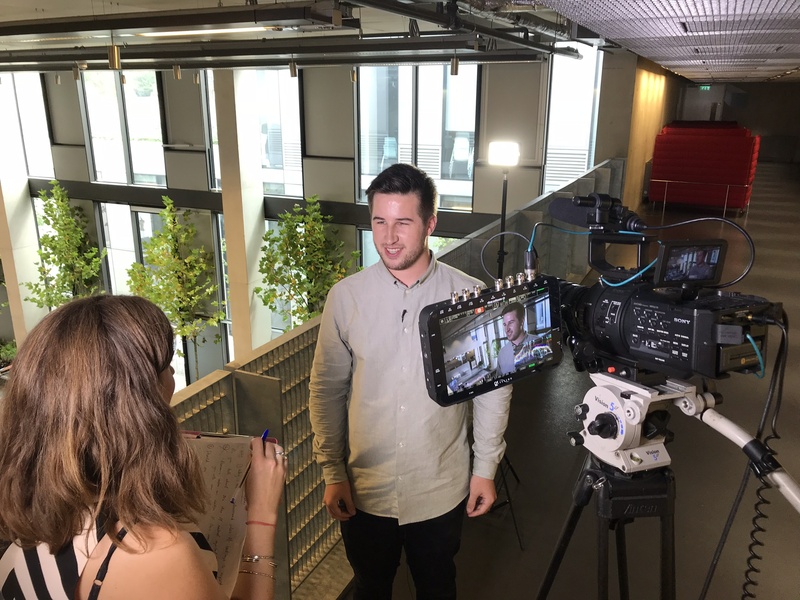 Jan spoke about the digital platforms of the future, the value of reconnecting children to the landscape, social meeting, diversity and making spaces sustainable for everyone. Jan emphasised the global goals highlighting a world without poverty, hunger, a world with quality education, health and wellbeing, clean water and sanitation and reduced climate change. The winner HALO, led by Landscape Practice Bradley Murphy Design, aims to deliver healthy infrastructure to residents’ doorsteps by providing accessible attractive and inspirational places. Residents will be motivated to engage in physical activity as a natural part of their daily lives. HIVES – Access to others: Innovative activity hubs that foster social and community engagement. ARCS – Reconnecting to nature: A people highway that provides uninterrupted access to nature. LINKS – Access for all: A green grid network of conduits for community cohesion and wildlife movement. ORGANICS – Edible landscapes: Focal points for food production and habitat creation. These interventions respond to local context through a range of typological treatments that are reflective of local landscape character, building a richness of experience that is unique to Ebbsfleet, while addressing the fundamental prerequisites for healthy living. Oliver had an interesting day and concluded from his time at the conference that landscape professionals design, plan and manage all kinds of outdoor spaces, helping connect people, place and nature. Turn a waste of space into somewhere people want to hang out. A place that protects the planet, instead of polluting it. A place fit for the future. #chooselandscape. A range of speakers from Sue Biggs CBE, Director General, RHS through to Dr Deb Upadyhaya, Specialist, Homes England and Board Director at the Academy of Urbanism discussed, over five sessions, the role of management and science, Post-Brexit policy changes, change monitoring, planning and the management and science of what a valued landscape is? The speakers presented reasoned discussion and debate in relation to policy making, landscape change monitoring, planning policy and how innovative management and science are emboldening the role of the landscape profession in the protection and creation of valued landscapes through design, management, horticulture and ecology. The vast topics succinctly presented the challenges we, as landscape professionals, face over the coming years, possibly decades, in the face of an uncertain future for vast tranches of land in some of our most protected landscapes. The Post-Brexit debate focused on the challenges of CAP, and the role of farming across our AONBs and National Parks. Speakers focused on the need for issues not to be faced in isolation and raised important points about the relationship between trade and landscape quality and the effects market forces have on our landscapes and the need for models that support light land production. Using the phrase ‘The landscape never lies it always tells the truth’ Shona listened to speakers explain how multi-agency initiatives to monitor and map the landscape will help to inform landscape policy and management techniques in the future. Speakers explained how monitoring was being undertaken, where change has occurred and how we value landscape as a result of knowing where improvements and decline are occurring. The message very much being that identifying change, allows us to understand, what has changed, where and why and joined up thinking on data gathering is critical to this. 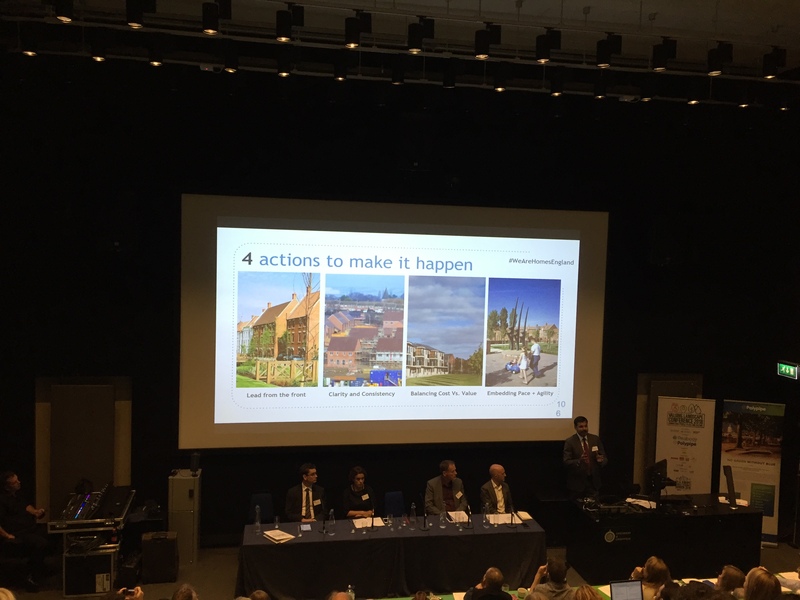 The Planning speakers largely focused on how our environment influences our well-being, the main message taken from this was that landscape value should not be an ‘exception’ but a ‘norm’ in the planning process. That championing ‘quality’ design in physical and social terms and the value proposition is linked and integral to quality of life, and that delivery of homes at a pace if the shared vision is understood by all should not be an issue. The final set of speakers presented some of the most innovative examples of preserving and creating valued landscapes and how public and private organisations, acting as one, empowered local communities and exemplar designs in the world of vertical horticulture and agronomy could realise truly exceptional valued landscapes that are forward looking and unlock future value. All in all this was an exceptional day of speakers, all with their part to play in seeking Landscape Architects and a profession that is both able to understand, monitor, plan, value and ultimately produce valued landscapes that they are then able to preserve and exemplify.